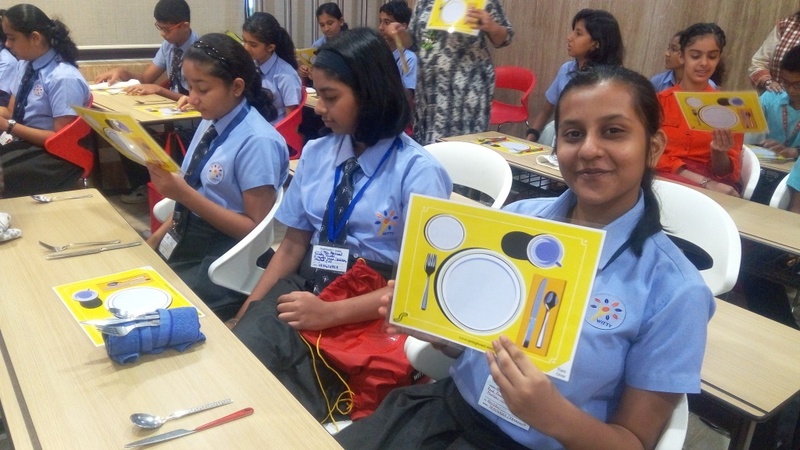 On the top of the World...: Social and Dining Etiquette Workshop at Witty International School Pawan Baug (2017-18). 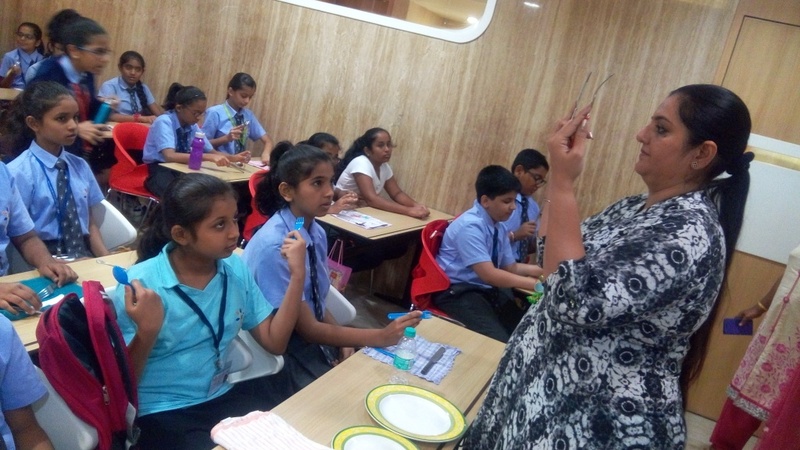 Social and Dining Etiquette Workshop at Witty International School Pawan Baug (2017-18). Witty International School aims to give your child the necessary building blocks for a solid future, through poise, confidence, integrity and leadership. Thus each child was given a learning which will last a lifetime, enabling him or her to effectively participate in his or her future by handling social and scholastic situations with grace and ease. A Social and Dining workshop was conducted by Ms Savneet Kaur to help children imbibe the power of etiquette. 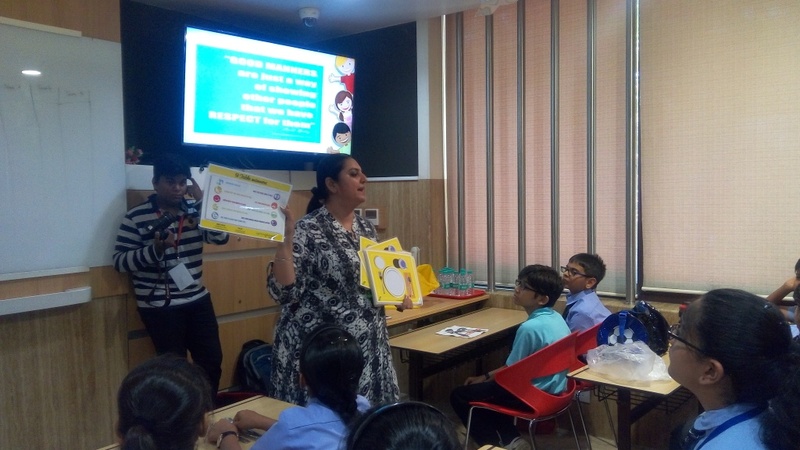 The workshop dished out the message that respecting and valuing others is a key factor in growing up to be a confident and poised adult. Old world manners are no longer required today, but the basic principles of etiquette still hold strong and true. Good table manners, pleasant conversation skills and making a positive impression never go out of style. Good manners make life more pleasant for everyone. Through interactive games and role-playing, kids learnt amongst their peers the importance of good behaviour, confident body language, proper handshake and much more. The topics ranged from introduction to why good manners matter; good impressions and greetings; how to shake hands with good posture and eye contact; how to make proper introductions; how to walk, sit and stand with confidence; attitude and body language; how we sound to others; dressing appropriately; and personal grooming musts. It further went on to offer boys and girls an opportunity to learn about proper social skills in any dining situation. Dining etiquette is how you behave in a dining setting. It can be a restaurant or a café. It is governed by the rules of how to order your food, how to eat your food with finesse, which silverware to use and how to engage in conversations with others seated around the same table. 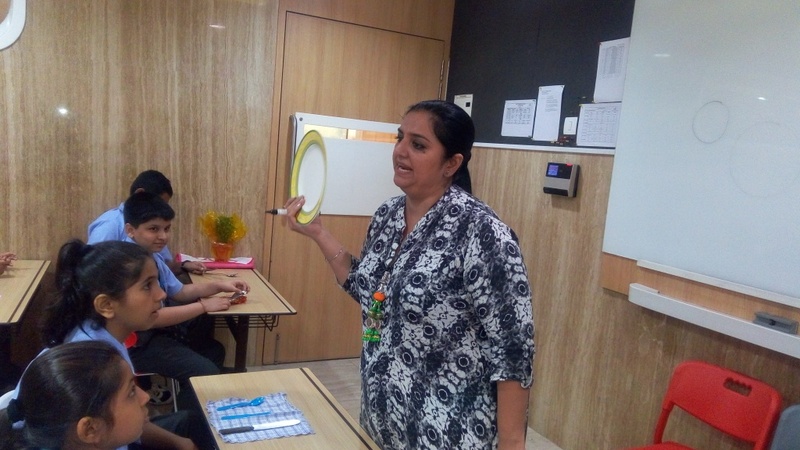 During the seminar they learnt the importance of proper dining, dinner conversation and other simple courtesies that would help them become more confident at any table. In addition the kids were instructed on how to place their own orders and use of their utensils.